Due to the big change of taking on the role as "Director of the Horse Program" at The Thacher School, I will not be scheduling clinics or expos in the foreseeable future. It has been such an amazing journey up to this point and we are looking forward to this exciting new chapter in our lives! 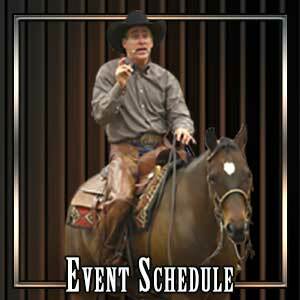 Winters' has over 30 years of instructing others as well as competing at the highest levels, judging horse shows and sharing his knowledge in monthly horse training articles. Richard has been able to bridge the gap as a World Champion Colt Starter to his World Championship win with the National Reined Cow Horse Association and also placed 4th in the Top Hand at the Cowboy Dressage World Show! Richard is now ready to invest in the lives of these young Thacher students! "I can probably be classified as a clinic junkie since I have attended so many over the last 12 years. I just want to say that I think Richard is one of the very best. He is a great communicator with an excellent program. I especially benefited from the Advanced Program. It showed the fundamental weakness that I presently have and gave me several new things to work on and exposed areas where I am needing to improve. In addition to being an outstanding horseman Richard is a person of uncommon character."